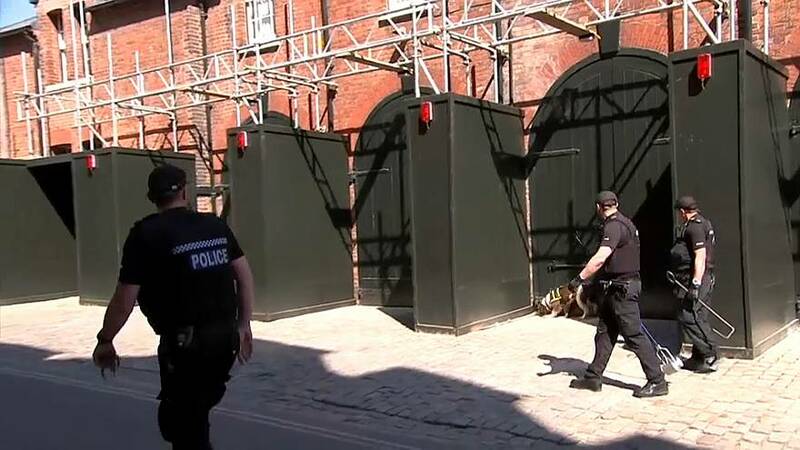 Specialist explosives detection dogs have begun sniffing around the town of Windsor, about 30 km west of London, and the venue for an upcoming very big day indeed. Police in the UK have begun one of the biggest security operations in their history to ensure the wedding of Prince Harry and Meghan Markle goes ahead safely. Barriers to stop vehicle attacks, armed patrols, and airport-style security will be deployed to prevent any incident. Shops and buildings would also be searched in the days leading up to the wedding and undercover police officers will patrol train stations with routes leading to Windsor. More than 100,000 visitors are expected in the town when the royal couple tie the knot on May 19 in St George's Chapel at Windsor Castle.